I can’t login my account. My account is blocked. Please help me to login my Wechat ID. Thank you for the question and welcome to How to Chat Online. There are thousands of people who are facing with the problem. We managed to fix some of their problems but we don’t have enough phone numbers to do this for everyone. You can see some advices to fix this problem. We hope that you will manage to login your Wechat ID once more. Firstly, you can’t fix this problem on your own if your account blocked. 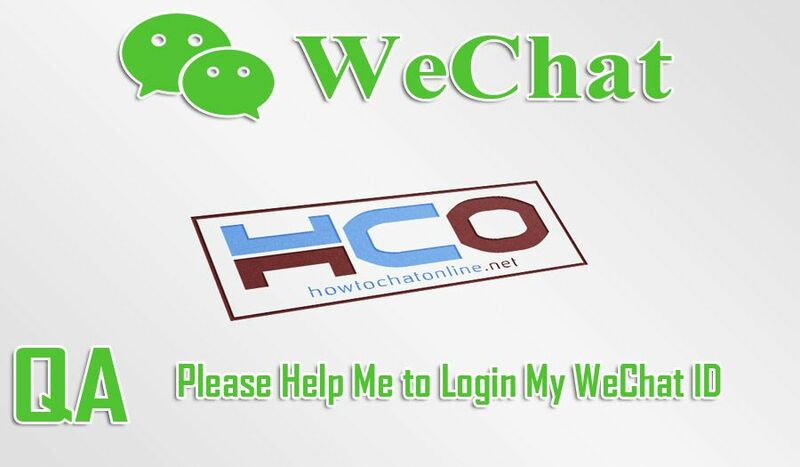 You will need to help for friend login on WeChat. If you can do, please reach one of your friends on WeChat and ask him/her to activate your account. If your friend doesn’t meet requirements, you will need to contact WeChat for this. Unfortunately reinstalling WeChat or downloading it elsewhere is not going to help you. So I recommend you to contact WeChat for this. This is how you can login to your WeChat ID. There are some tutorials on internet which mentions that VPN can help you about this. However we have tried those steps several times and they are not working at all.